In 1948 Henry Moore was commissioned by The British Film Academy to create five replicas of a bronze figure. These were awarded each year to the production units responsible for producing the Award-winning films: Film From Any Source / British Film / United Nations Award / Short Film / Specialised Film. A blue & white Jasper Wedgwood plaque incorporating the traditional Wedgwood figure of Apollo, God of Light and the Arts, designed by Josiah Wedgwood & Sons. 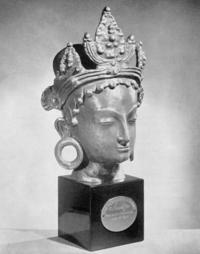 First presented in 1953, these Awards were later extended to include Film Craft Awards. 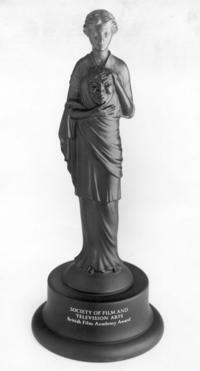 A Black Basalt Wedgwood figure presented at the British Film Academy Awards specially designed by Wedgwood sculptor Eric Owen. This Award, donated by Countryman Films, was presented to the Company producing the award winning film. 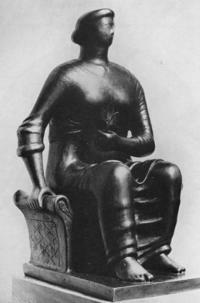 It was a replica of the head of the Tara figure in the Indian Section of the Victoria and Albert Museum. The Award later became The Robert Flaherty Award for the best feature length film, documentary in content. 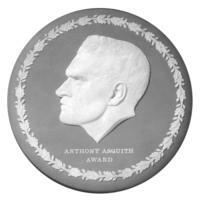 Instituted by the Anthony Asquith Memorial Fund this Award, presented to the composer and director of a film, was a Sage green Jasper Wedgwood plaque incorporating the head of Anthony Asquith. 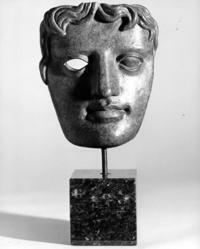 The current BAFTA Award is based on a design by Mitzi Cunliffe, commissioned by the Guild of Television Producers and Directors and presented from 1955 onwards for television productions. In 1958, the Guild merged with the British Film Academy to become the Society of Film and Television Arts. 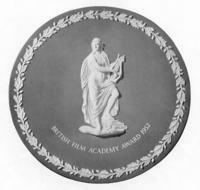 The SFTA became the British Academy of Film and Television Arts in 1976 and at the royal opening of its new premises the first BAFTA mask, cast in bronze, was presented to Sir Charles Chaplin. Cunliffe's distinct design is now a symbol recognised worldwide. The original mask (pictured right), commissioned in 1955.